Mr. Pep Lozano. 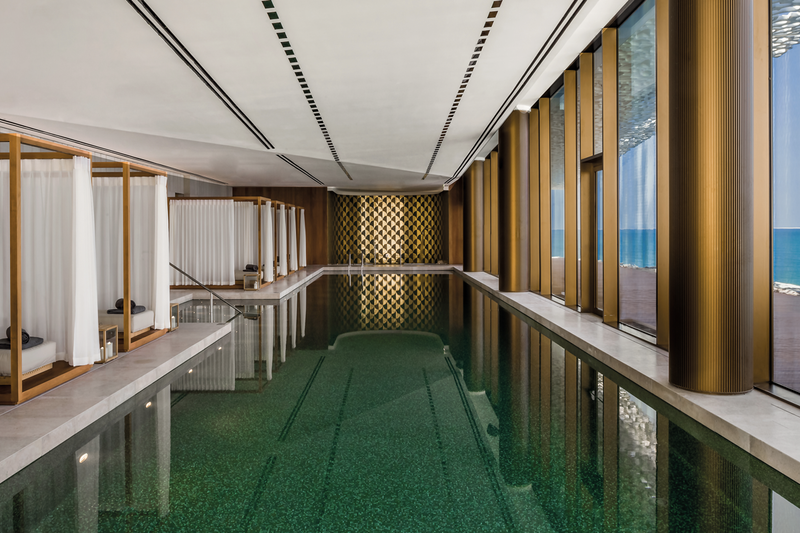 Formally General Manager at The Ritz-Carlton Abu Dhabi, The Ritz-Carlton Tokyo, The Ritz-Carlton Doha. 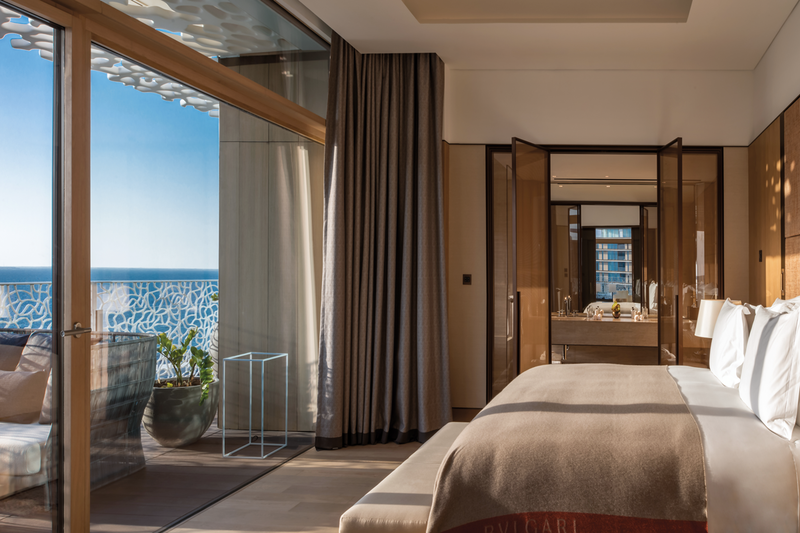 Comprised of 101 rooms and suites, as well as 20 Bvlgari villas with pool, garden and sea-view, The BVLGARI Resort Dubai offers a full range of amenities, such as the gourmet Il Ristorante – Niko Romito, Il Bar and La Spiaggia the most exclusive beach Club with private beach and outdoor swimming pool. Guests can also enjoy the 1,700 square-metre Spa with hammam, indoor pool, fitness centre, beauty salon. To add relish to the guest’s stay, the complex comprises a private Marina featuring 50 boat berths and the first world’s Bvlgari Yacht Club with peerless views over the sea. 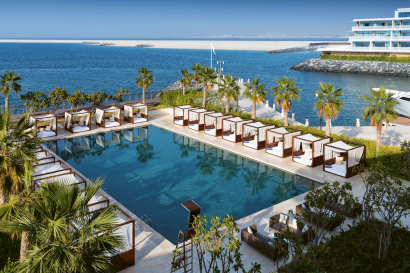 Set on a private seahorse-shaped island, the BVLGARI Resort Dubai is an urban oasis akin to a charming Mediterranean village and yet just a ten minutes drive from downtown. 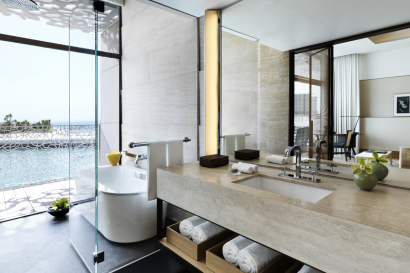 The Resort includes 101 rooms and suites, and 20 Bvlgari Pool Villas with Beach and Dubai’s Skyline views and 24h Butler service. 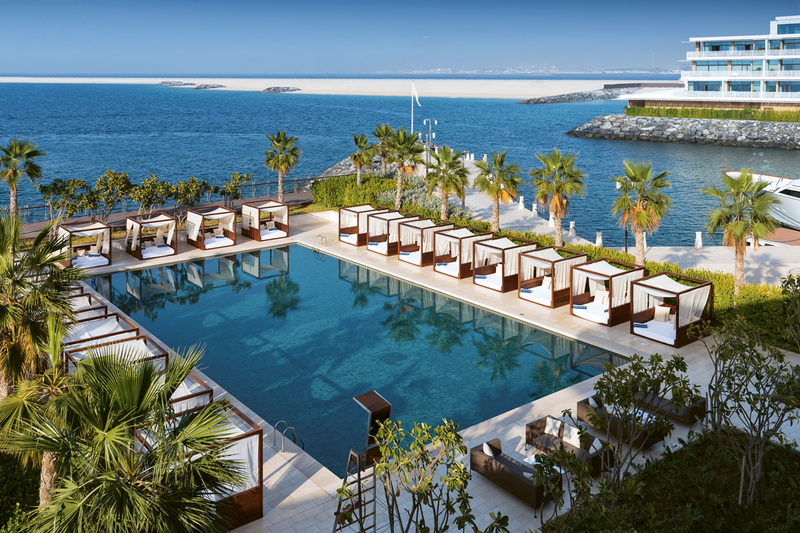 The BVLGARI Resort Dubai has a private beach. The property offers uninterrupted views over the Arabian Gulf on one side and Dubai’s world-famous skyline – capped by the Burj Khalifa – on the other. 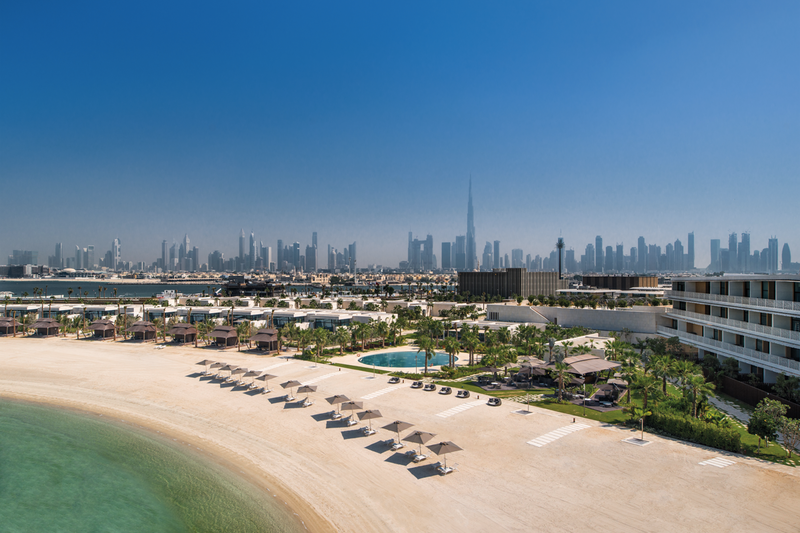 A wide-range of connecting rooms and villas, perfect place for families. The extensive dining experiences include Il Ristorante Niko Romito, Il Café, Il Bar, La Spiaggia, the Lobby, Bvlgari Yacht Club Dubai Restaurant and Hoseki. 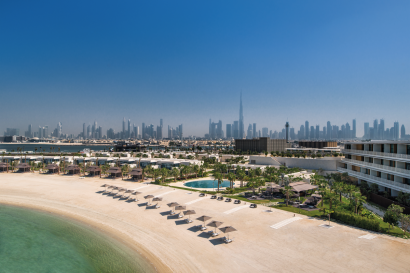 Exclusively situated on the seahorse shaped island, connected by a 300m bridge to central Dubai, the resort is the destination of choice for visitors seeking the solitude of an island escape, the residential feeling of a private house, yet situated just minutes from the heart of the vibrant city and its cultural attractions. The Two Little Gems Kid’s Club welcome children from 4 to 12 years old. The Recreation Team is designing a unique program to ensure children will enjoy safe and fun filled activities throughout their stay: treasure hunt, costume party, cooking classes and can use inflatable games, video games with the virtual reality glasses, ping-pong table, etc. Children have complimentary unlimited ice cream treats, candies, juices and pastries. 17 Superior Rooms (55 sqm. + 15 sqm. Balcony). Large bedroom, marble bath and walk-in shower, private balcony, view on the Bvlgari Marina or has private garden. 36 Deluxe Beach View Rooms (55 sqm. + 15 sqm. Balcony). View on the resort’s sandy beach, large bedroom, marble bath and walk-in shower, private balcony. 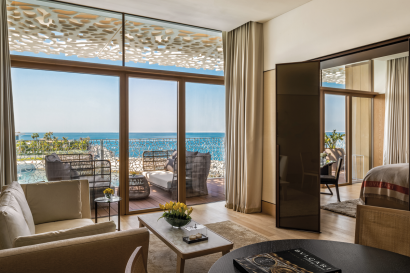 21 Premium Ocean View Rooms (55 sqm. + 15 sqm. Balcony). 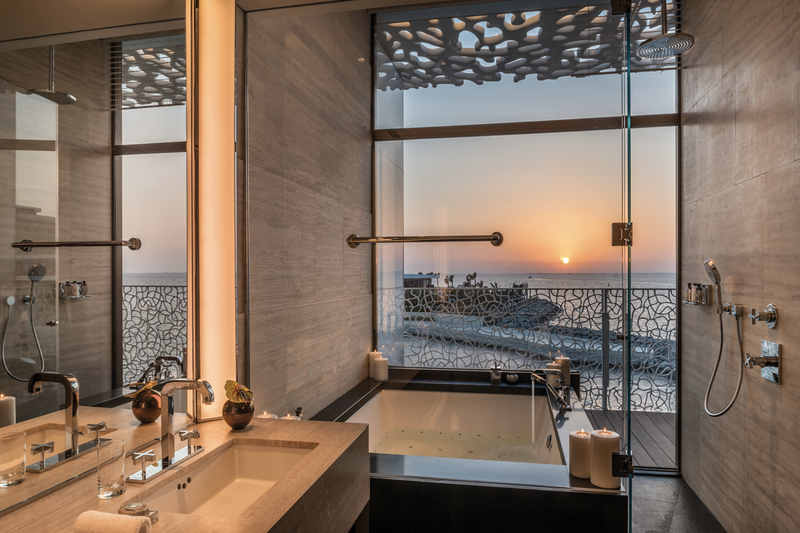 View on the Arabian Gulf, large bedroom, marble bath and walk-in shower, private balcony. 16 Junior Suites (80 sqm. + 25 sqm. Balcony). 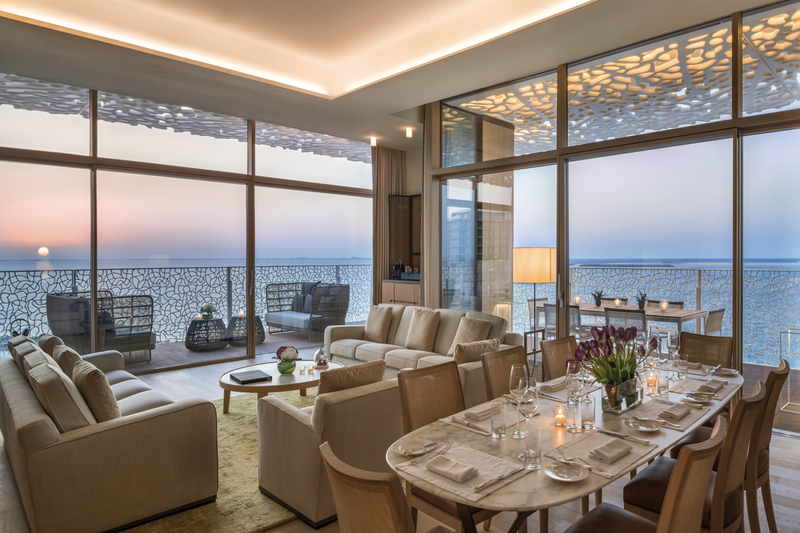 Living room, master bedroom with large balcony, view on Dubai’s skyline or Arabian Gulf. 6 Deluxe Suites (105 sqm. + 30 sqm. Balcony). Spacious living room, master bedroom with large balcony, Jacuzzi, view on Dubai’s skyline or Arabian Gulf. 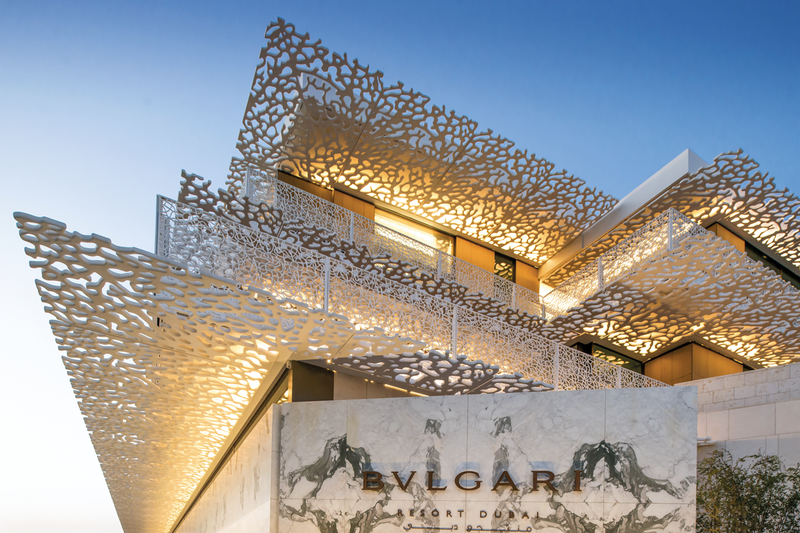 5 Bvlgari Suites (120 sqm. + 60 sqm. Balcony). Private large balcony, outdoor relaxation and dining area, indoor living room, signature Bvlgari bookshelf, walk-in wardrobes, Jacuzzi, view on Dubai’s skyline or Arabian Gulf. 4 One-Bedroom Beach Pool Villa: 175 sqm., temperature-controlled outdoor private pool, ocean view, living room, master bedroom, bathroom with marble bathtub, fully-equipped kitchenette, private parking space, 24 hours personal butler. 8 Two-Bedroom Beach Villa: 250 sqm., Two bedrooms, living space, temperature-controlled outdoor private pool, outdoor dining space. Fully equipped kitchenette, domestic room with bathroom, parking space, 24 hours personal butler. 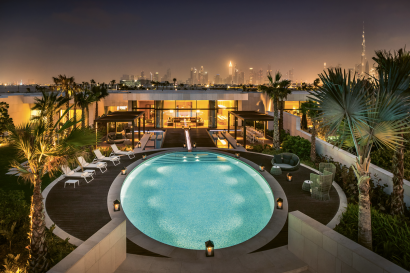 2 Two-Bedroom Skyline View Villa: 250 sqm., Dubai’s skyline views, two bedrooms, living room, fully-equipped kitchenette, maid’s room with a bathroom, parking space, temperature-controlled outdoor private pool, outdoor dining space, 24 hours personal butler. 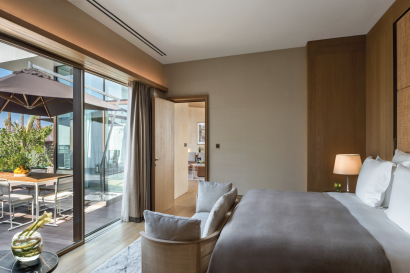 5 Three-Bedroom Skyline View Villa: 315 sqm., view of the Dubai’s skyline, living room, temperature-controlled outdoor private pool, master bedrooms with bathrooms, fully equipped kitchenette, domestic room with bathroom, parking space, 24 hours personal butler. Il Ristorante: Created by the Michelin starred chef, Niko Romito, celebrates the rich heritage of Italy. 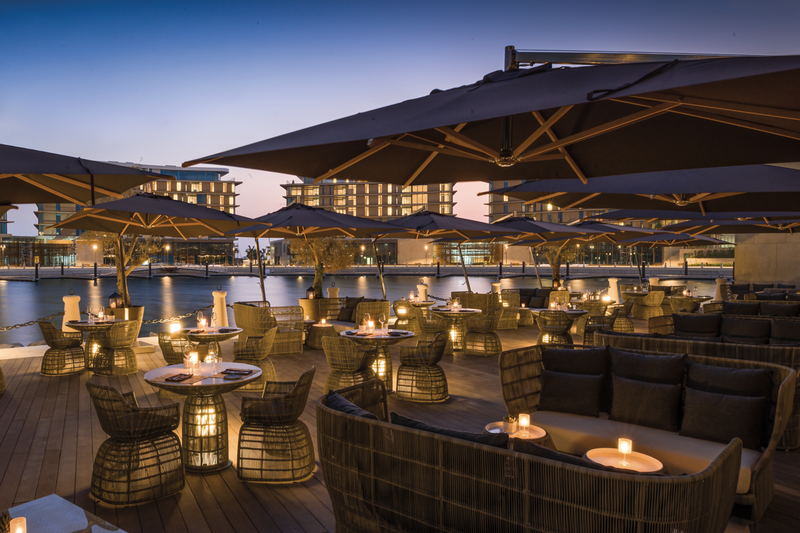 Il Bar: the bar is the perfect location to admire the sunset and enjoy Italian aperitivo. The Lobby Lounge: features artisanal pastries, homemade Bvlgari chocolates and an Italian themed afternoon tea. Boardroom II + III: 40 sqm.